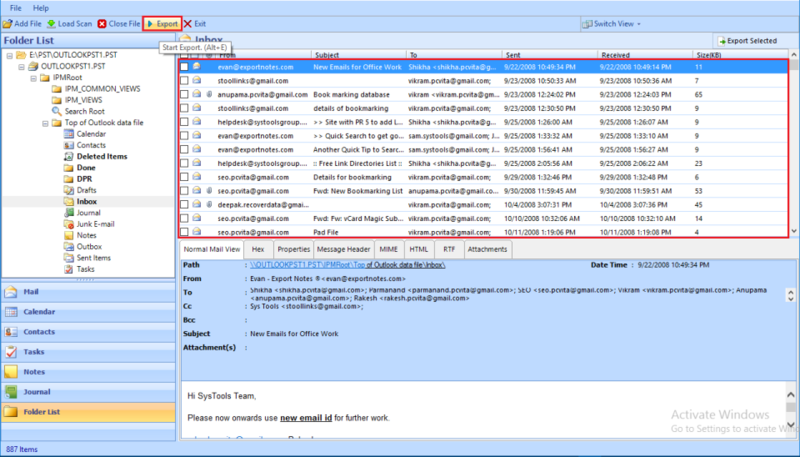 Outlook PST repair tool easily repair corrupt or damaged mailbox file of Microsoft Outlook. It recover deleted data & allows to save in PST, EML, MSG and Office 365. Target User - Home & Business. 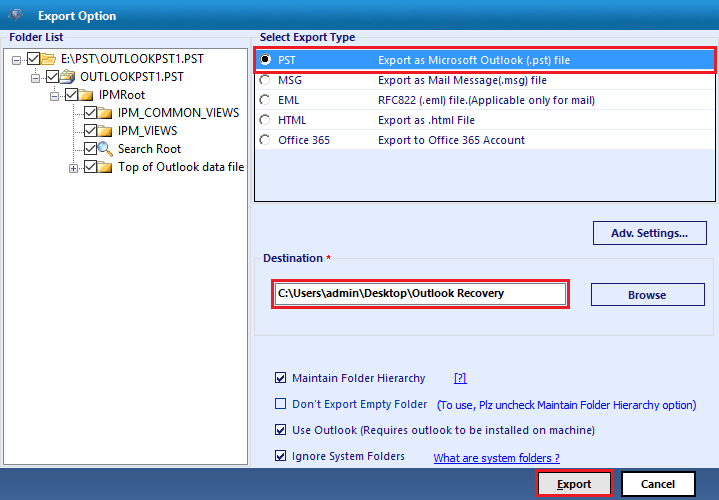 Repair corrupted Outlook PST files using Outlook PST Repair Tool with 4 basic steps. 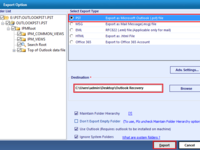 Browse and add damaged Outlook PST file and repair or recover data from inaccessible file and save in PST, MSG, EML, HTML or Office 365. The PCVITA PST File Repair software can recover permanently deleted emails, contacts, calendars, tasks, notes, journals from Outlook PST file. 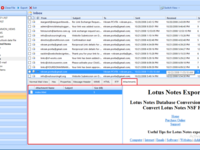 It also remove encrypted emails from PST files. 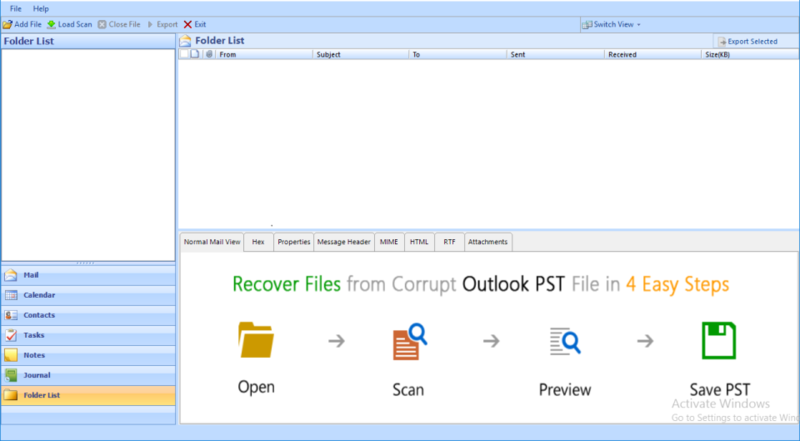 The advance Mode helps to repair severely corrupted Outlook PST file without data loss. PCVITA Outlook PST Repair Reviews Recently Reviewed! The Best PST Repair Tool! Worth Buying! Pros: I was having inaccessible Outlook PST file, which contained so much crucial data. I needed to recover data from Outlook PST files and to repair my corrupted PST data file without any data loss. I tried its trail version and it repaired and retrieved all data in the PST file and previewed in the software panel. This feature is amazing. I having purchased the software after seeing my outputs. What is more reliable and trustable than this!! While considering the working of this PST Repair Tool, I would like to give 4.9/5. It recovered permanently deleted emails from my PST file without any data loss along with the attachments. It can retrieve all lost and missing PST data items like emails, contacts, calendars, tasks, notes, journals etc easily by just checking 'Advanced Scan' option before scanning your PST file. 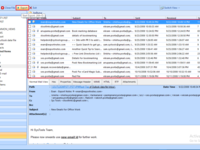 The software also provides an option to remove SMIME & OpenPGP encryption from Outlook email messages in bulk. It seems to be a very essential feature in recovering emails in this era, where people use end to end encryption even in normal messaging apps. The software is user friendly and efficient. It helped me to resolve PST file issues. Cons: The software is not supported on Mac Operating system. And it requires password and keys for encrypting Outlook email messages. Overall: I was having an inaccessible Outlook 2016 PST file with me. The PCVITA Outlook PST Repair Tool helped me to repair corrupted PST data file without any data loss. 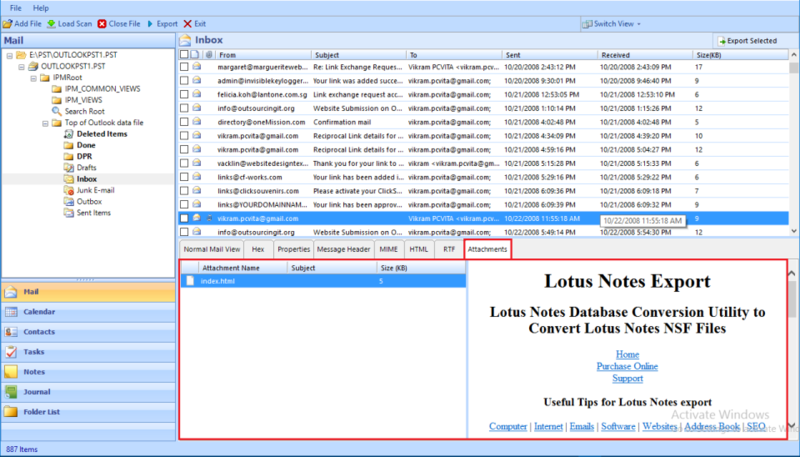 I could easily recover and repair data from my PST file with this user-friendly application. The software worked amazing and provided a correct output.